Brandli, Fabrice et Michel Porret – Les corps meurtris : Investigations judiciaires et expertises médico-légales au XVIIIe siècle. Bryce, Benjamin and Alexander Freund, eds. – Entangling Migration History: Borderlands and Transnationalism in the United States and Canada. Fox, James – British Art and the First World War, 1914-1924. Jennings, John – The Cowboy Legend: Owen Wister’s Virginian and the Canadian-American Frontier. McCalla, Douglas – Consumers in the Bush: Shopping in Rural Upper Canada. Mills, Sean – A Place in the Sun: Haiti, Haitians, and the Remaking of Quebec. Mullin, Janet E. – A Sixpence at Whist: Gaming and the English Middle Classes, 1680-1830. Nicholas, Jane – The Modern Girl : Feminine modernities, the Body and Commodities in the 1920s. Poutanen, Mary Anne – Beyond Brutal Passions: Prostitution in Early Nineteeth-Century Montréal. Sawaya, Jean-Pierre – Des braves et des guerriers : Les Amérindiens du Québec et la guerre de 1812. Somerset, A.J. – Arms: The Culture and Credo of the Gun. Sweeny, Robert C.H. – Why Did We Choose to Industrialize? 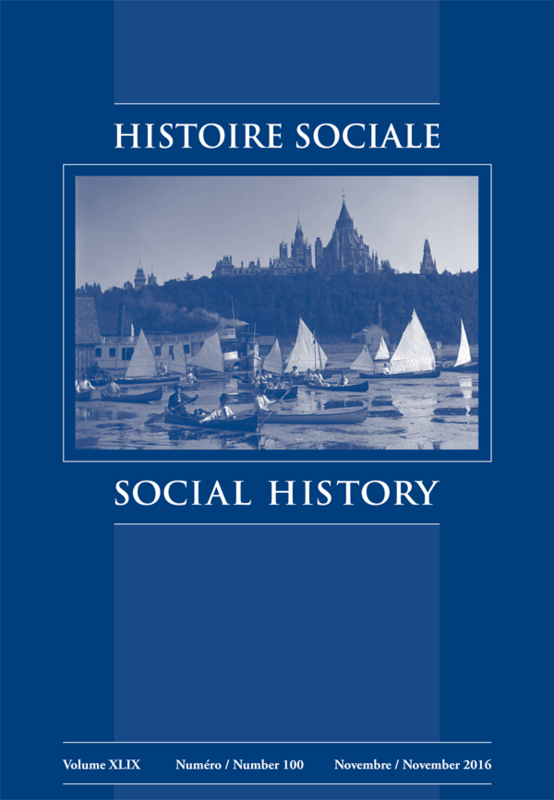 Montreal, 1819-1849. Ternat, François – Partager le monde : Rivalités impériales franco-britanniques (1748-1756). Tomka, Béla – A Social History of Twentieth Century Europe. Vaizey, Hester – Born in the GDR: Living in the Shadow of the Wall. Warren, Jean-Philippe and Andrée Fortin – Pratiques et Discours de la Contreculture au Québec. Warren, Jean-Philippe, ed. – Les soldats du Pape. Les zouaves canadiens entre l’Europe et l’Amérique. Weinstein, Barbara – The Color of Modernity. São Paulo and the Making of Race and Nation in Brazil.